PARIS – Maserati has named its new sedan the Ghibli after a wind that blows from the Sahara Desert. The brand's first SUV will be called the Levante after the street where the company was once based. The Fiat subsidiary announced the names today at the auto show here. 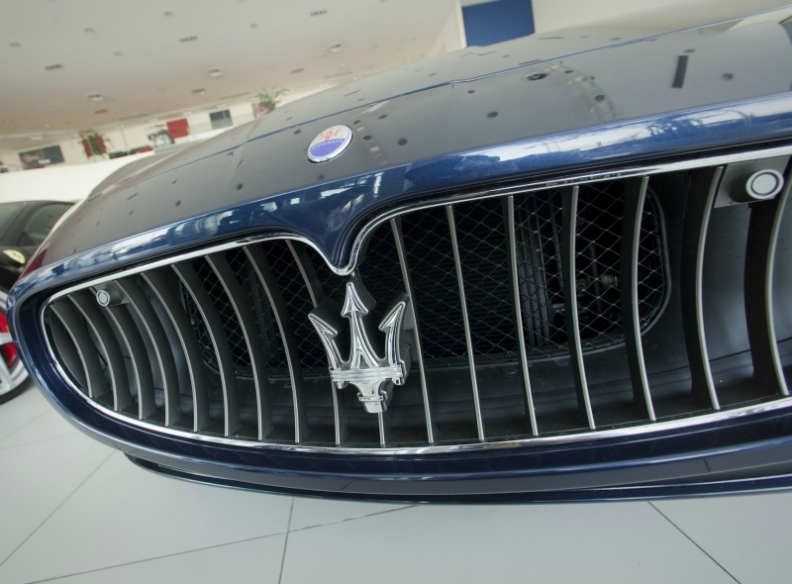 Maserati is counting on the two new models to help boost the company's global sales to 50,000 units by 2015 from 6,150 last year. The Levante is set to debut in 2014. The SUV was previewed at the 2011 Frankfurt auto show as the Kubang concept. It will be produced in the United States by the Fiat-controlled Chrysler Group, sharing a production line and underpinnings with the Jeep Grand Cherokee. Maserati picked the name Levante, which means east in Italian, to honor its early history. In 1919, the Maserati brothers moved their fast-growing 5-year-old company to a bigger facility on Via Emilia Levante, in Bologna. The company remained there until 1939 when it moved to Modena. The production version of the four-door Ghibli is expected to debut next spring at either the Geneva or Shanghai auto show. Maserati first used the Ghibli name on a two-seat coupe launched in 1967. The company will keep the Quattroporte name for its four-door flagship large sedan. A redesigned Quattroporte is set to debut in January 2013 at the Detroit auto show. The redesigned Quattroporte and the new Ghibli will be built at a former Carrozzeria Bertone plant on the outskirts of Turin. Fiat bought the factory three years ago and renamed it Officine Maserati Grugliasco following a 550 million euro refurbishment. The plant is part of Maserati's more than 1 billion euro investment to expand the brand's model lineup. At peak capacity, Maserati plans to build 20,000 to 25,000 units a year of the Levante, about 20,000 units of the Ghibli and 12,000 Quattroportes. The company's GranTurismo coupe and the GranCabrio convertible, which are made at Maserati's home plant in Modena, Italy, round out the range.